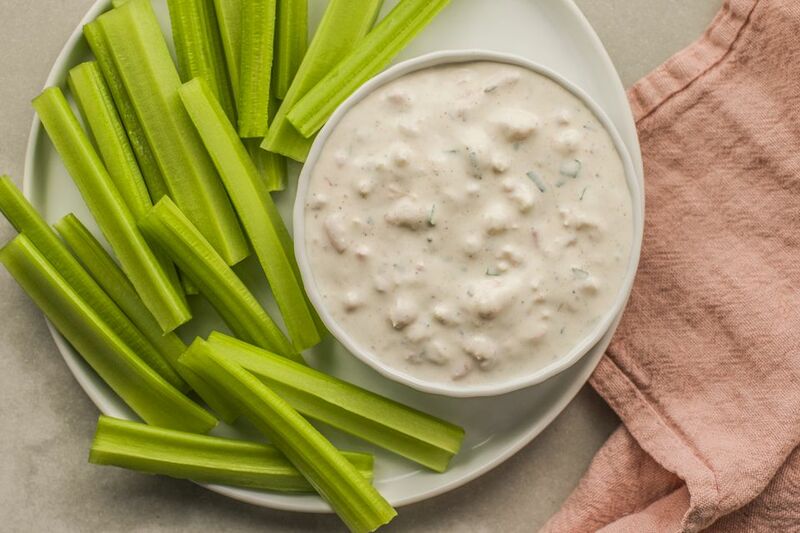 This quick and easy shrimp dip takes just a few minutes to fix, and it is a delicious dip to serve with crackers, chips, or vegetables. The combination of cream cheese, sour cream, and Italian dressing mix is flavorful, but it doesn't take anything away from the flavor of the shrimp. Chopped fresh parsley adds color to the salad, but it's entirely optional. You can use other seafood in this easy dip recipe or add some chopped toasted pecans, chopped roasted red peppers, or chopped chives for extra color and texture. See the variation ideas below the instructions. Combine the cream cheese and sour cream in a medium bowl. Beat the mixture until smooth and creamy. Beat in the lemon juice and Italian dressing mix. Then stir in the shrimp. Taste and add salt and freshly ground black pepper, to taste. If desired, stir in 1 or 2 tablespoons of fresh chopped parsley. Serve with chips, vegetables, or assorted crackers. Serve as a filling to stuff raw celery sticks or small hollowed-out tomatoes. Substitute 4 to 6 ounces of drained and flaked crabmeat for the chopped shrimp. Substitute a tin of smoked oysters for the chopped shrimp. Fold them into the dip mixture along with the salt and pepper and optional parsley and hot sauce.